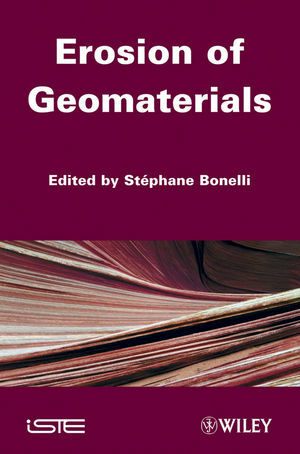 This book aims to deliver significant scientific progress on the problem of the erosion of geomaterials, focusing on the mechanical/physical aspect. The chapters oscillate between a phenomenological outlook that is well grounded in experiments, and an approach that can offer a modeling framework. The basic mechanisms of internal and surface erosion are tackled one-by-one: filtration, suffusion, contact erosion, concentrated leak erosion, sediment and wind transport, bedload transport. These erosion mechanisms comprise both hydraulic structures (dams, dikes) and natural environments (wind, river, coastal). In this book, physicists and mechanicians share with the reader their most recent findings in their field work and study, while at the same time maintaining an accessible format. This compendium provides a well-documented information resource, and above all, a tool for approaching the issue of erosion of geomaterials in an up-to-date fashion for students, researchers and practitioners alike. Stéphane Bonelli is a Research Professor at the French Environmental Sciences and Technologies Research Institute (Cemagref). He graduated in Civil Engineering in 1988, obtained his PhD in Geomechanics in 1993 and holds a Habilitation from Marseille University. He created the Geomechanics and Erosion team in 2002 (12 people). He has over 20 years of teaching and research experience, and has published more than 60 papers on various aspects of numerical modelling of earthdams, internal erosion and monitoring data analysis. He has been a member of FrCOLD (French Committee on Large Dams) since 1998. He has been a member of the ICOLD (International Commission on Large Dams) European Working Group on Internal Erosion since 2005. He participated to 19 large dams reviews in Fance (visual inspection, monitoring data analysis and numerical modeling). Current activities include research, teaching and consultancy, focussing on soil erosion and the processes of levee breach.